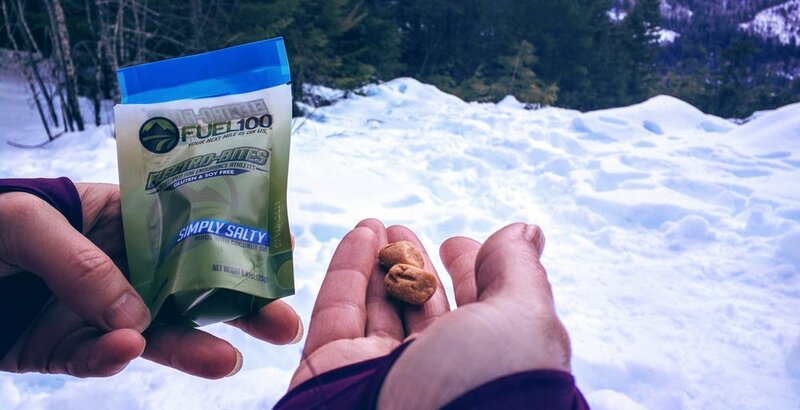 We tested these samples while on a moderate hike. The packages are small, each the caloric equivalent of 100 calories. There are a variety of flavors and we tried all that were provided. The initial taste we experienced was salt, not like pouring salt into your mouth harshness, just salty. Each flavor has a toasty, almost malty undertone with a hint of vanilla, cinnamon, spice, vinegar or whatever the label touted. We found all of the flavors quite mild. Displaying Electro-Bites Pumpkin Spice, Salty Vinegar, Salty Vanilla, Simply Salty, Apple Cinnamon flavors. The small, nugget sized bites were easy to pop into our mouths while tromping through the snow (roughly the size of mini marshmallows). The texture is kind of a fine granular consistency and dissolved readily in our mouths with or without a drink. Small, compact and easy to open packages. These are perfect for hiking and backpacking as they take up little room and are lightweight. Dissolved with or without liquid, with little to no chewing. We felt that we were more thirsty for a longer period after our hike than usual. 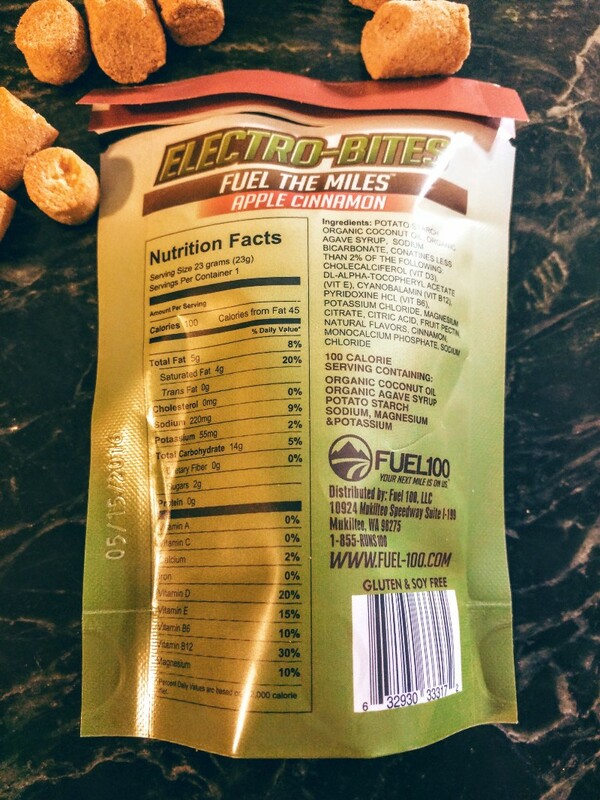 Overall, we’d recommend Electro-Bites as another tool in your endurance arsenal — Nutrition for athletes! 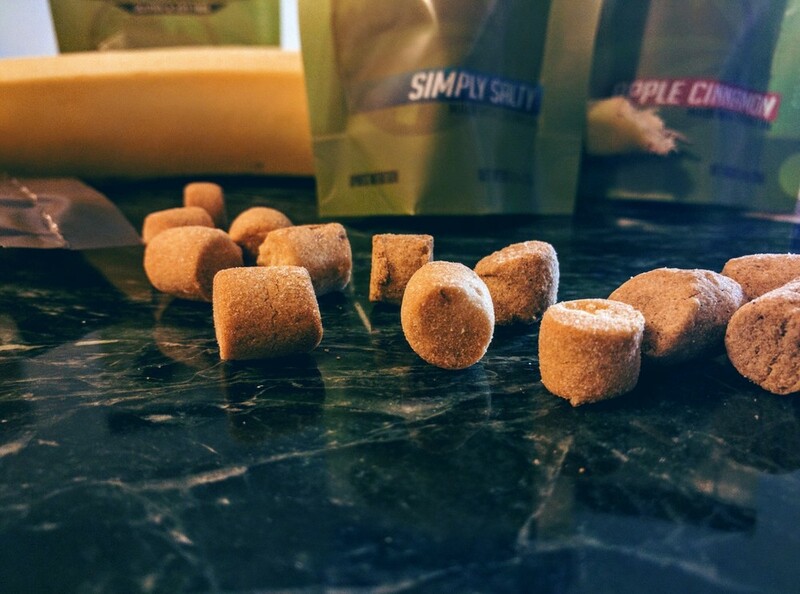 If you’d like to try Electro-Bites you can buy them online at www.electro-bites.com. They’re also available in select physical locations which can be found on their website. Disclosure of Material Connection: We received Electro-Bites for free from Fuel100 as coordinated by Outdoor PR in consideration for review publication.